Your kids will misbehave and they will make mistakes. Mistakes are part of learning. A big part of what they learn depends on how you respond. What Are These Children Learning? In a recent “Ask Amy” newspaper column a concerned neighbor wrote "What do you think about a parent who smashes and completely destroys kids’ electronic games and equipment (these were parent-approved gifts to these young children) because the kids were fighting over them? It seems to me that it might not be the best example of how to teach a child to deal with frustration. It actually sounds borderline violent and abusive to me!" Amy chided the neighbor for not knowing what went on before the violence. She then provided an example of a mom who "had warned her kids about their television-watching habits and then, one day -- when she was trying to talk to them and they were ignoring her and watching the TV -- she pitched the television out the second-story window." Amy concluded "Violent? Yes. But it did the trick." Destroying the equipment certainly solves the immediate problem. But what is the cost? Are these parents trying to help their children learn that it is acceptable to destroy property if they are really angry? Probably not. The parents in these situations acted on their feelings of rage. Once strong emotions take hold, one’s ability to think clearly is compromised. Before you can choose more appropriate consequences from a place of calm, you have to develop the ability to deal with your strong emotions. This is not easy but it is critical to making better decisions in tough situations. It took me a couple years of monitoring my own behavior before I could consistently replace responding with anger to misbehavior with responding with empathy. Easy? No. Worth it? Yes! Being able to control your reaction is important no matter what the age of your children. Finding a way to get a grip instead of flipping out allows you to do your best parenting. If you want help in this area, go through the “Controlling Your Reaction” lesson in the Priceless Parenting online parenting classes. 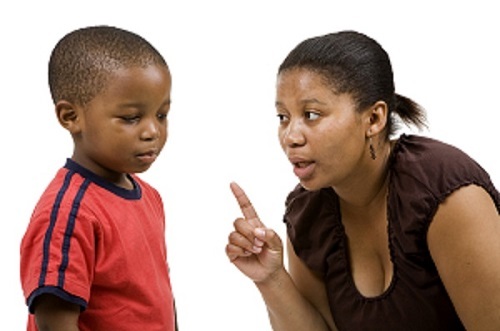 What Do You Want Your Children to Learn From Discipline? The word discipline comes from Latin disciplina meaning teaching or learning. So when you discipline your children, the goal is to help them learn from their mistakes. The goal is not to serve as retribution to make them pay for the mistake. Reasonable: The consequence relates to the behavior and is not too severe. Simple: The consequence is obvious and can be delivered easily and quickly. Valuable: The consequence allows the child to learn from the mistake and make amends. Practical: The consequence is achievable and makes sense given the child’s age and behavior. What can my child do to help make amends for the mistake? How can a consequence help my child make better choices in the future? How can I show empathy so my child is in a thinking state and maintains his self-esteem? When you consider Coloroso’s criteria, which items were not met by the parents who destroyed the TV or their kids’ electronics? What consequences might have been used instead that met these criteria? Following Coloroso’s guidelines will assist you in finding consequences that help your children learn to make better choices in the future. Ideally the older your children become, the more they use self-discipline and the less you need to impose consequences. Once they are teens, they will be spending a lot of time away from home and experiencing various natural consequences. Teens who have not developed self-discipline can wreak havoc on both themselves and their families. On the other hand, teens who typically make wise decisions are a joy to have around. Your children learn how to behave from watching you. When you behave in ways that you would be proud to see your children imitating, you’re likely to see them doing just that - and feel proud!